Chipped, cracked or damaged teeth at any age can be a serious pain. 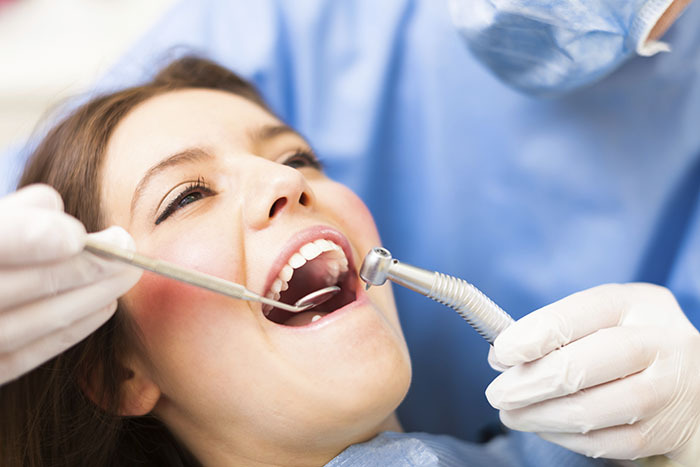 If neglected, these problems can result in tooth decay and even gum disease. Adults and kids alike throughout Winchester, VA suffer from dental issues that can be easily solved with a quick trip to the local dentist. Found in nearby Strasburg, Thomas Family Dentistry serves the Winchester area with pain-free dental crowns for adults, teens, children and toddlers. A tooth is made of two parts-- the root below the gums and the crown above. Our crowns are the visible section that chews food and makes our smiles beautiful. If the crown of your natural tooth is damaged, Thomas Family Dentistry can apply synthetic crowns to fit over your natural tooth, replacing the look, function and feel of the damaged tooth. These are necessary in cases of advanced decay or when large portions need to be removed. At Thomas Family Dentistry we can apply or replace a dental crown on patients of any age for one or multiple teeth. Crowns are also used to attach bridges, cover implants, prevent a cracked tooth from becoming worse or if an existing filling is in jeopardy of becoming loose or dislocated. Crowns also serve an aesthetic use and are applied when a discolored or stained tooth needs to be restored to its natural appearance. It may seem strange to treat baby teeth with an advanced procedure like dental crowns, but dental crowns for toddlers are more common than you may think. While your child's oral hygiene routine has a lot to do with the condition of their teeth, genetics can sometimes override brushing or flossing. If your child has a decaying or damaged primary tooth, they may need a dental crown. Primary teeth, or baby teeth, are an important part of dental development and set the scene for the rest of your child's life. These teeth serve as space holders and guide new teeth into place. A decaying or missing primary tooth could potentially cause more issues in the future, depending on the age of your child. The team at Thomas Family Dentistry provides crowns to children of all ages in a welcoming, kid-friendly environment. At Thomas Family Dentistry, we serve clients of all ages from Winchester, VA. Whether you or your child needs a crown, we're the big name in pain-free dental crown procedures. Call us today at 540-465-3980 and ask about our payment plans for patients without insurance as well.